Trump claimed in an interview that “99 percent” of ISIS’ territory had been reclaimed. WASHINGTON — US President Donald Trump indicated this weekend that some US troops in Syria would remain there “to protect Israel,” in an apparent shift from his earlier insistence on an absolute withdrawal. In an interview with Margaret Brennan of CBS News, Trump was pressed to identify precisely how much of America’s force presence there would be coming home— and how quickly. Israeli officials expressed alarm in December at Trump’s surprise decision to pull all 2,000 US troops from the Syrian battlefield, where it sees Iranian presence growing ever closer to its northern border. 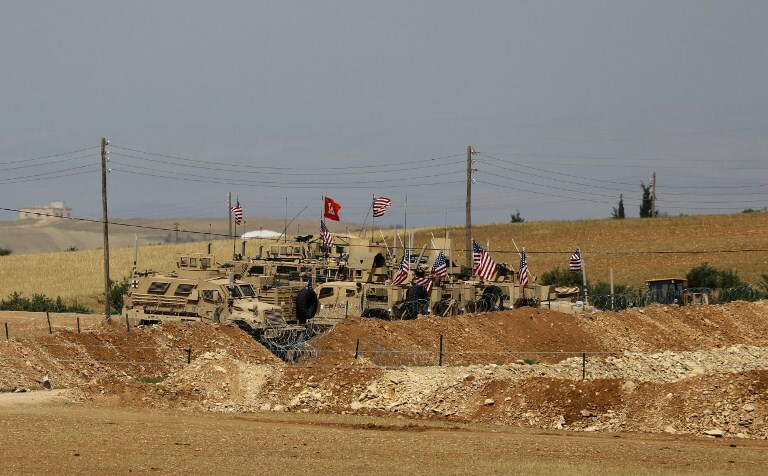 They have been pushing the Trump administration to maintain a presence at Tanf in southern Syria, which has served as an important base both in countering Islamic State fighters as well as Iranian influence. Trump claimed to Brennan that “99 percent” of ISIS’ territory had been reclaimed. Iran controls the new Lebanese government via its proxy Hezbollah group, Prime Minister Benjamin Netanyahu said Sunday, in his first public comments on the government formed in Beirut last week. “Iran has proxies. One of them is Hezbollah. Hezbollah just joined the government of Lebanon. That’s a misnomer; they actually control the government of Lebanon. It means that Iran controls the government of Lebanon,” he told a group of 40 ambassadors to the United Nations. Netanyahu was briefing the delegation, headed by Israel’s UN envoy Danny Danon, just before they headed to Israel’s northern border to inspect one of Hezbollah’s cross-border attack tunnels. “It’s important to send this very powerful message just as we stop the terror tunnels coming into Israel: We will stop all the aggression, from Lebanon or from Syria or from Iran itself,” Netanyahu said. On Thursday, political factions in Lebanon ended a nine-month deadlock and agreed on a new government, which saw a strengthening of the Shiite terrorist group. Hezbollah now holds two ministries and a ministry of state, including for the first time the Health Ministry, which has one of the country’s largest budgets. The Finance Ministry remains in the hands of a Hezbollah ally, Ali Hassan Khalil. 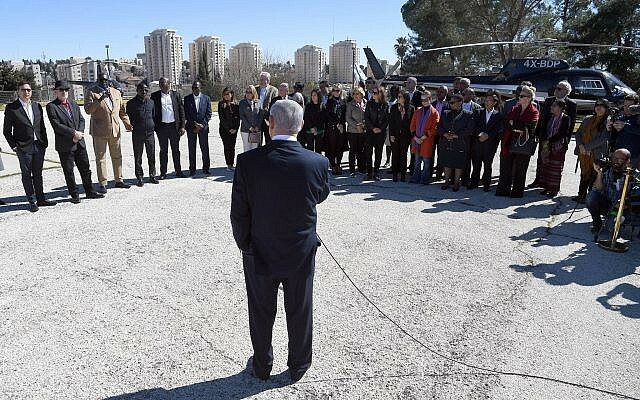 Speaking to the ambassadors outside his Jerusalem residence, Netanyahu lambasted the UN’s perceived anti-Israel bias, urging the diplomats to work toward improving their respective capitals’ voting pattern on Israel. “The fact that you’re here represents the fairness and integrity of your approach. I wish that this characterized the UN,” he said. In 2018, the UN General Assembly passed 20 resolutions against Israel and only six against the rest of the world. Netanyahu agreed to host the ambassadors because he has a “non-hidden agenda,” he added. “We want to see you change your votes. To those of who have already done it, thank you. To those who will do it, thank you in advance,” he said. Earlier on Sunday, President Reuven Rivlin told the delegation about the importance Israel attaches to the UN, but also lamented the “unfair decisions” some of its agencies make. The ambassadors hailed from all continents, including countries such as Panama, Ukraine, Hungary, Czech Republic, Liberia and Mongolia. Also on Sunday, Danon took the ambassadors on a tour through Jerusalem, including a visit at the Western Wall. Bringing UN envoys to Israel is important, “because some of them continue in their careers and become leaders,” Danon told The Times of Israel. It was an honor to bring together the Ambassadors’ Delegation with Prime Minister @netanyahu. 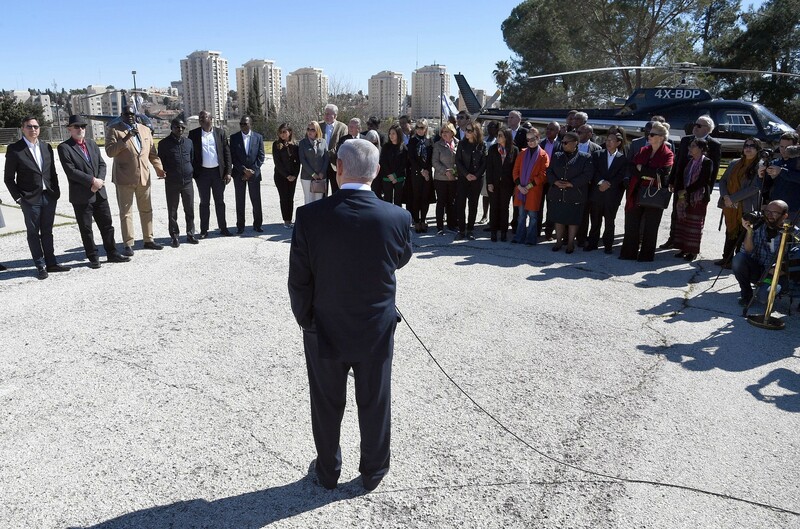 The visit of the Delegation is further proof that #Israel diplomatic ties are flourishing. Last year, for instance, Danon brought Sierra Leone’s UN ambassador, Adikalie Foday Sumah, to Israel. The visit left such an impression on the diplomat that after his term he returned to his country and established a Sierra Leone friendship organization that hopes to change the West African nation’s voting patterns at the UN and to strengthen bilateral relations. “Sumah’s initiative is yet another welcome testimony to the enormous contribution of the Ambassadors’ Delegations to the State of Israel,” Danon said. 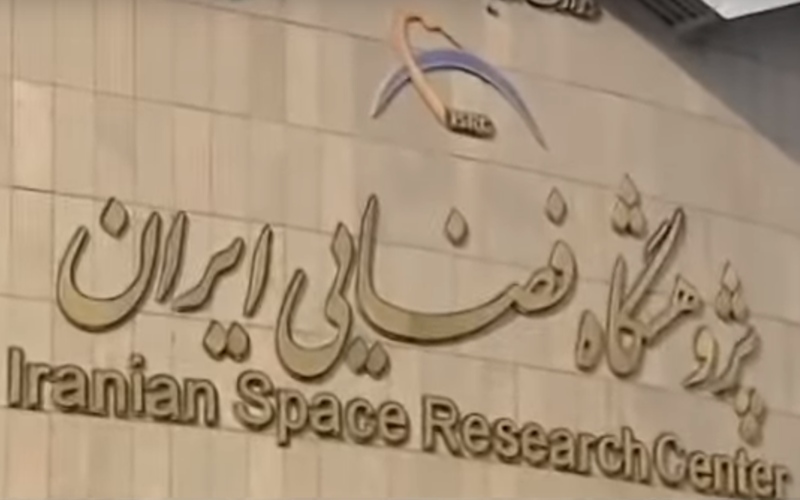 A fire in Iran’s space research center has killed three scientists, the country’s semi-official ISNA news agency reported Sunday. Jahromi did not elaborate in the report. Iran plans to launch a satellite into orbit despite US and Israeli criticism that such launches benefit its ballistic missile program, since the rockets used in the two programs depend on very similar technology. In January, the country launched a satellite, but authorities said it failed to reach the “necessary speed” in the third stage of its launch due to a technical malfunction. Iran had said that it planned to send two non-military satellites, Payam and Doosti, into orbit. The Payam, which means “message” in Farsi, was an imagery satellite that Iranian officials said would help with farming and other activities. Iran’s Defense Minister Amir Hatami vowed last week to carry out another satellite launch “soon” and promised “good news” would be announced in the near future about the country’s defense industry. Iran, which has long said it does not seek nuclear weapons, maintains its satellite launches and rocket tests do not have a military component. Tehran also says it is not violating a United Nations resolution that only “called upon” it not to conduct such tests. Over the past decade, Iran has sent several short-lived satellites into orbit and in 2013 claimed to have launched a monkey into space. DAMASCUS, Syria — The US-led coalition has attacked an army artillery position in eastern Syria, wounding two soldiers and destroying a cannon, a Syrian military official said Sunday. Syria’s state news agency SANA quoted the unnamed military official as saying the attack late Saturday was followed by a foiled incursion by IS militants. Spokesman for the US-led coalition Col. Sean Ryan said the partner forces acted in “self-defense” after coming under fire from the western side of the Euphrates River. Ryan said an investigation is underway. US-led coalition forces, with their local Kurdish-led partners, are battling the remnants of Islamic State group on the eastern banks of the Euphrates, while government troops and allied forces are now positioned on the other side after dislodging IS from there. The Syrian Democratic Forces (SDF), a US-backed and Kurdish-led group, has intensified its offensive in the last area held by the extremists since US President Donald Trump announced plans to withdraw American troops last month. The ground offensive is taking place under the cover of airstrikes by the US-led coalition. The radical Islamist group, which once controlled around a third of Syria and neighboring Iraq, is now besieged in a small area in eastern Syria where it has been relying on suicide attacks to stop the advance by SDF fighters. The area has been shrinking since the SDF began its offensive on September 10, and hundreds of fighters on both sides have been killed. He who pays the piper calls the tune and, when push comes to shove, the IRGC may ask Nasrallah to retaliate against Israel. Lebanese Hezbollah Secretary-General Hassan Nasrallah has a warning for Israeli Prime Minister Binyamin Netanyahu. The fallout of Nasrallah’s comments was interesting. In the Tehran media, Iranian analysts such as Sabah Zangeneh, emphasised Nasrallah was speaking as Hezbollah leader and not on Iran’s behalf. However, Zangeneh also said Hezbollah’s “response” to Israel would “not be proportional” but “beyond” proportional. Iranian Admiral Ali Shamkhani, Supreme National Security Council secretary and adviser to Supreme Leader Ali Khamenei, on January 29 insisted Iran “has no intention to increase” the range of its missiles. At first glance, Tehran would appear to be sending mixed signals to Israel, the United States and the Europeans. On the one hand, it’s threatening war and a disproportionate response to any provocation but then it’s also trying to project moderation. Tehran’s message may not be quite so mixed. There is not necessarily a discrepancy between Nasrallah’s warning and Shamkhani’s assurances. So long as Iran’s ally, the Lebanese Hezbollah, possesses Iran-made missiles, there is little need for Tehran to further alienate the Europeans by increasing the range of its missiles. The background to the seemingly different signals is understandable. The Israel Defence Forces (IDF) is not only actively engaged in a sustained bombing campaign against Iranian and allied positions in Syria, it openly admits to carrying out the attacks. These attacks may force Iran out of Syria, luring Iran into counterattack. This would allow Israel to escalate the conflict and inflict even greater blows on the Islamic Revolutionary Guard Corps (IRGC). At the very least, Israel would tarnish the prestige of Hezbollah and the IRGC if they don’t retaliate to its attacks. It is out of the question for Tehran to leave Syria, after all the blood and treasure sacrificed to keep Syrian President Bashar Assad in power, as well as to establish a permanent military presence in that country and open a potential front against Israel. And prestige does matter to the IRGC and Hezbollah. The Britain-based Syrian Observatory for Human Rights said 21 people, most of them Iranian nationals, were killed in the latest Israeli strikes in Syria. In Iranian media, however, there was no mention of the fatalities or even of the attack. Hezbollah and the IRGC have stopped announcing the funeral services in Lebanon and Iran for fighters killed in Israeli bomb raids. Even so, how long can the IRGC and Hezbollah remain silent? In the Mayadeen interview, Nasrallah said he was silent so as “not to feed” an “Israeli publicity stunt.” But for how long? This leaves open the risk of Hezbollah retaliation against Israel on Tehran’s behalf to escape the cycle of passivity and inaction in the face of sustained IDF bombardment of Syria. Is another war between Hezbollah and Israel imminent? Probably not. Tehran, after all, primarily sees Hezbollah’s arsenal of Iranian missiles as a deterrent to Israeli attacks against Iran’s nuclear facilities. Once Hezbollah is engaged in war, it would no longer be possible to talk of a deterrence but he who pays the piper calls the tune and, when push comes to shove, the IRGC may ask Nasrallah to retaliate against Israel. Turkey needs to start addressing the root cause of its problems with Kurds within Turkey, who have been marginalized and victimized since the inception of modern Turkey. Sherkoh Abbas is President of the Kurdish National Assembly of Syria (KURDNAS). Jerry Gordon is senior editor of New English Review and co-host of Israel News Talk Radio- Beyond the Matrix and Robert Sklaroff is a physician-activist. President Trump’s peremptory call on December 19, 2018, for an immediate withdrawal of U.S. forces from Syria, exacerbated the U.S.-led Coalition’s mission to defeat the Islamic State, resulting in the death of four Americans at Manbij by an alleged Islamic State suicide bombing. The Caliphate isn’t crushed, and the Islamic State has not been defeated. In fact, more radical groups and ruthless regimes are emboldened given recent attacks in Manbij, Kenya, Idlib, Afrin, and elsewhere. Turkey’s President Erdoğan has threatened to dislodge the Kurd-led Syrian Democratic Force (SDF) from the strong point of the Arab city of Manbij with U.S. forces maintaining a cordon. He and President Trump suggested the creation of a safe-zone inside northern Syria from the Mediterranean to the Iraqi Kurdistan frontier to deal with the SDF because it is allegedly comprised of “terrorists” — the PYD-PYG — affiliated with the PKK, Turkish Workers Party, a designated Kurdish terrorist organization in eastern Turkey. PYD- Partia Yekitia Demokrat- is a political party in Kurdistan of Syria, the YPG is military wing of PYD. Turkey needs to start addressing the root cause of its problems with Kurds within Turkey first before blaming them on all the issues abroad. Kurds in Turkey have been marginalized and victimized since the inception of modern Turkey. This initiative was triggered by the August 2016 Turkish-backed Free Syrian Army incursion at Jarablus, followed by the January 2018 invasion and occupation of the ancient Kurdish enclave of Afrin by Turkish and FSA units. The FSA is “al-Qaeda on steroids,” explaining why it displaced tens of thousands of Kurdish civilians and YPG fighters, who fled to the autonomous Kurdish homeland in northeast Syria under the aegis of the U.S.-backed SDF. This homeland is coveted by Turkey, Iran and the Assad regime because it contains 90% of Syria’s energy resources plus productive agricultural lands that constitute the country’s bread-basket. This homeland is coveted by Turkey, Iran and the Assad regime because it contains 90% of Syria’s energy resources plus productive agricultural lands that constitute the country’s bread-basket (Mesopotamia). They threaten “Turkification” thereof by repopulating it with repatriated radical Syrian Sunni refugees from Turkic and Arabic ethnic groups who don’t identify on ethnic bases. They identify as Muslim Brotherhood who are allied with Turkey. Given President Trump’s announcement withdrawing U.S. forces from Syria, PYD-YPG leaders entered discussions with both Moscow and Damascus to obtain protection from threats emanating from Turkish and allied Jihadist Syrian rebels. The Assad regime posted forces in the Manbij vicinity and Russian military police began patrols across the Euphrates River. The price of PYD-YPG protection was a capitulation to Assad, allowing for his regime to control the de facto autonomous Kurdish region (which also has minority Sunni Arab, Turkman and Assyrian Christian populations). That meant relinquishing control of the region’s energy resources and dissolving of the PYD-YPG-led SDF into the Syrian Arab Army and giving up any claims to autonomy or federalism. It also meant de facto recognition of Iranian hegemony over the Assad regime. Several other proposals have emerged regarding so-called safe-zones. Erdoğan wanted control over the entire international frontier from the Mediterranean coast to the Iraqi Kurdistan frontier to a depth of 32 kilometers. All heavy weapons would be withdrawn, and the zone would be administered by the Turkish military and allied Free Syrian Army jihadist militias. The PYD-YPG asserted that it would administer the safe-zone. Another suggestion was to evacuate heavy weapons leaving only light weapons in the possession of the SDF, empowering international groups (e.g., the U.N.) to supervise designated Kurdish, minority Arab and Christian areas in Qamishli, the capital of the predominately Kurdish northeast region. None of these proposals recognize the significant contributions of the Syrian Kurds in the U.S.-led Global Coalition that has been defeating the Islamic State. Thus, it is necessary to formulate an alternative that recognizes the valued contributions of Syrian Kurds in that conflict. Further, it is unclear that Kurds and other minorities adhere to the Marxist values of the PKK or the governing PYD-YPG councils. It was initially supported by Assad to manage the Kurdish affairs allowing its forces to fight elsewhere in Syria. Furthermore, they know that Marxist ideology espoused by the PYD would not be accepted by Kurds. However, it was the best available option for the Kurds that can be remotely controlled by Assad. Most of the alternatives were worse than working within PYD/YPG. Establish a safe-zone administered by NATO members (notably France and the U.K.) that have been active members of the U.S.- led Coalition and already have air and special units positioned in the area. Form a Kurdistan National Guard to absorb and replace the PYD-YPG-led SDF, free from any control by PKK and Assyrian militias linked to Assad and his allies. Then withdraw both SDF units and heavy weapons from the safe-zone. Hold an internationally sponsored referendum with foreign observers to maintain fair polling to elect local governing councils and a legislature for the autonomous Kurdish federal region of Syria that stretches from the Iraqi border to the Kurdish mountains to the west of Afrin. Draft and implement a basic constitutional law providing fundamental civil and human rights for the Kurdish majority and protected Arab, Turkic, and Christian minorities. Negotiate a separation agreement with the Damascus government akin to the 2011 Comprehensive Peace Agreement between the Islamic Republic of Sudan and what became the Republic of South Sudan. Develop a five-year investment plan for the Syrian Kurdistan Federal Region zone with international sponsors. Establish diplomatic relations with the geopolitical actors in the region (i.e., Turkey, Syria, Iraq, Russia, Saudi Arabia, UAE, Egypt, and Israel). Develop a regional mutual defense pact modeled on the NATO charter. Although not an independent entity, the successful neighboring Iraqi Kurdistan region provides a model. It was fostered by the U.S.-led coalition in 1992 that defeated the former Saddam Hussein regime in the First Gulf War that liberated Kuwait, but not Iraq. With its energy resources and democratic political system defended by its Peshmerga, it became the landlocked version of Dubai in the UAE. It now provides sanctuary for 2 million refugees and protected-minority Christians. What is not a useful model is the Idlib safe zone currently under Turkish control, which now is the next hot-bed of Islamic groups like Hayat Tahrir al-Shams that could replace the Islamic State at any moment. al-Qaeda is “moderate” by comparison. The overwhelming majority of Kurds in Syria subscribe neither to PKK nor PYD-YPG Marxist ideologies. They are protecting themselves from the Islamic State and the FSA, and ultimately from Assad, Russia, and Iran. The international community must accept the fact that Iraq and Syria are failed states. Kurds and other minorities should be allowed to form federations to create zones of safety, to promote democracy, and to prevent additional refugees from being displaced and radicalized. To that end, the Kurdistan National Assembly of Syria (KURDNAS) could play a major coalition-building role that would be acceptable to the West, regional countries, and local people. Sherkoh Abbas is President of the Kurdish National Assembly of Syria (KURDNAS), Jerry Gordon is senior editor of New English Review and co-host of Israel News Talk Radio- Beyond the Matrix and Robert Sklaroff is a physician-activist. EXECUTIVE SUMMARY: The “War Between Wars” is an ongoing Israeli military and intelligence effort to disrupt the force build-up of the Iranian-Shiite axis throughout the Middle East. 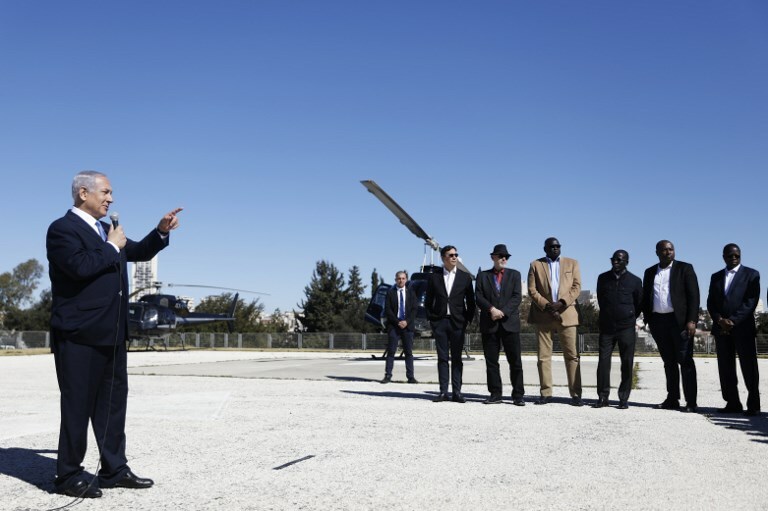 This campaign, which has evolved into an entire force activation doctrine, has seen the Israeli defense establishment employ an approach that differentiates between Syria and Lebanon. Israel’s low-profile military campaign against the Iranian-Shiite axis in Syria is continuing despite changes in the geo-strategic environment. But the use of Israeli air power to disrupt enemy force build-up has yet to cross into Lebanon. It is possible that this could represent one of the most significant regional escalation scenarios in the near future. The “War Between Wars” is an ongoing Israeli military and intelligence effort to disrupt the force build-up of the Iranian-Shiite axis throughout the Middle East. This campaign, which has evolved into an entire force activation doctrine, has seen the Israeli defense establishment employ an approach that differentiates between Syria and Lebanon. In Syria, Israel launches frequent intelligence-fueled air strikes that target Iranian military build-up sites. The strikes also destroy Iranian weapon transfers that use Syria as a transit zone on their way to Hezbollah bases in Lebanon. The scope of Israel’s preventative air strike campaign in Syria is enormous, as recently outlined by former IDF Chief of Staff Lt.-Gen. Gadi Eisenkot. Eisenkot told the New York Times that Israeli jets had fired 2,000 air-to-ground munitions at targets in Syria in 2018 alone. This has clearly disrupted Iran’s plans to build a Shiite army in Syria under its command, made up of 100,000 militia members. Iran was also planning to build missile factories, launch sites, weapons storage facilities, and a network of cross-border attack positions along Syria’s border with Israel. The January 12, 2019 Israeli air strike on Damascus international airport, apparently targeting a depot housing Iranian-made Fajr 5 rockets and other projectiles, is the latest indication of Jerusalem’s determination to enforce its red lines in Syria against the entrenchment of a radical Shiite axis. Commentators have eulogized the “War Between Wars,” claiming that it cannot withstand Russian pressure and the growing risk of conflict with a reconstituting Syrian state. They are underestimating Israeli resoluteness. Israel’s military high command and cabinet are both fully committed to the objective of denying Iran a military foothold in Syria. According to the logic of that objective, the long-term cost of allowing Iran the opportunity to build a second war front on Israel’s border, alongside the Iranian attack base already in place in Lebanon, would be higher than any fallout from “War Between Wars” strikes. In Lebanon, however, Israel employs a very different approach. Hezbollah, Iran’s primary proxy in the region, enjoys a monopoly of military and political power in Lebanon, with the help of the Iranian Quds Force. The Hezbollah-Iran axis has imported some 130,000 projectiles into Lebanon, turning the country into one big rocket launching base aimed at Israel. This represents an exponential jump compared to the 10,000 rockets that were in Hezbollah’s arsenal on the eve of the Second Lebanon War in 2006. Most of the projectiles in Hezbollah’s inventory are unguided, and Iran has made a new push in recent months to deliver guidance systems to the group. These would enable Hezbollah to convert some of its projectiles into precision-guided missiles, which could be used to strategically threaten vital Israeli targets like airports, seaports, power plants, military bases, and high-profile buildings. Israel’s determination to stop Hezbollah from upgrading its firepower in this way found expression on September 17, when Israeli fighter jets struck an Iranian shipment of guidance kit components near Latakia, on the Syrian coastline. That strike triggered massive Syrian anti-aircraft fire, bringing down a Russian intelligence aircraft and killing 15 crew members. The incident sparked a major Russian-Israeli crisis that has yet to be resolved. The Iranians then appeared to switch tactics, flying guidance components in cargo flights directly into Beirut’s Rafic Hariri International Airport. At the end of September last year, PM Netanyahu and the IDF Spokesman’s Unit exposed the existence of multiple underground sites for the conversion of unguided rockets into precision missiles. One of the sites was adjacent to the airport. “Hezbollah’s senior members took a deliberate decision to shift the center of gravity of the precision missile project, which they have been working on for a while, to the civilian area in the heart of Beirut,” the IDF stated on September 27. Three months after these warnings, Netanyahu said at the end of December 2018 that Hezbollah had shut down these conversion centers, adding that the organization has, “at most, a few dozen precision-guided missiles” at this time. Netanyahu said that Israel’s security forces have stopped Hezbollah from possessing thousands of such missiles. These developments illustrate the fact that unlike in Syria, Israel is deeply reluctant to employ air power in Lebanon to enforce its red lines, and prefers to rely on messaging and deterrence through speeches and the media as well as through potential alleged activities that are more discreet than air power. This is an indication that mutual deterrence between Israel and Hezbollah remains in effect. An unwritten agreement between Israel and Hezbollah began to crystallize in 2014, after Israel allegedly struck a Hezbollah weapons convoy on the Syrian-Lebanese border and Hezbollah set off border bombs that targeted an IDF convoy traveling in Har Dov, causing damage but no injuries. Following the incident, Nasrallah said in an interview that Israeli attacks in or near Lebanon would draw rapid retaliation, hinting that this was not the case regarding strikes in Syria. This quiet understanding would become irrelevant if Lebanon becomes the site of precision missile conversion operations. Israel’s multiple warnings to Nasrallah and his Iranian backers have delivered that message. Hezbollah, for its part, felt the need to replenish its own deterrence against Israel by releasing a video at the start of December with Google Earth satellite images and coordinates of sensitive targets across Israel, threatening strikes against them. The video included a snippet from a speech by Nasrallah in which he warned that his organization “will respond” if Israel hits targets in Lebanon. The ability of Israel and Hezbollah to apparently defuse the “Lebanese [precision] missile crisis” of 2018 without going to war is no guarantee that they will repeat such a de-escalation this year. It seems safe to assume that the newly appointed IDF Chief of Staff, Lt.-Gen. Aviv Kochavi, who has monitored Hezbollah’s force build-up both as Northern Command chief and as Military Intelligence commander, will remain busy with this issue during his term. For now, Israel has been able to enforce its red lines on precision missile production in Lebanon through the use of deterrence and messaging. It remains unclear whether those same tactics will be effective the next time the Iranian axis tries to set up precision missile factories on Lebanese soil. Yaakov Lappin is a Research Associate at the Begin-Sadat Center for Strategic Studies. He specializes in Israel’s defense establishment, military affairs, and the Middle Eastern strategic environment.